When your business specializes in placing workers in people's homes, it's important to show them that they can trust you and your staff. 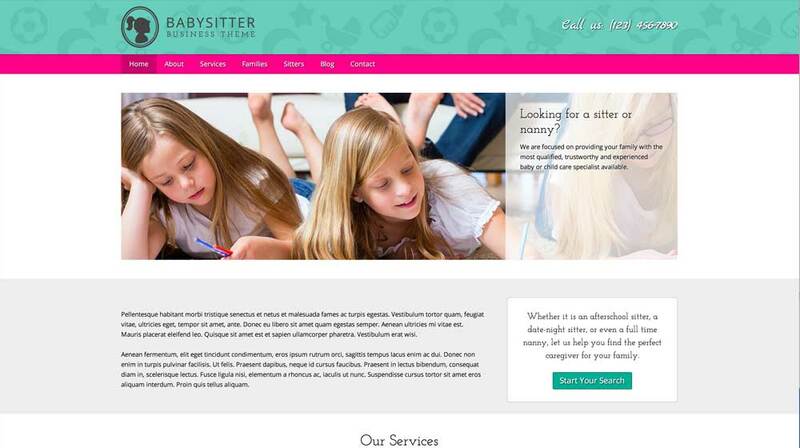 Show clients what you can offer them with an informative, professional website built with the Babysitter WordPress theme. 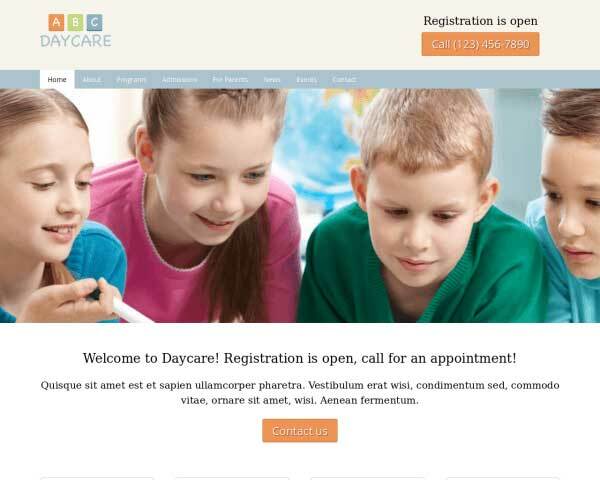 The Babysitter WordPress theme is made for nanny services or any business that provides in-home care solutions. This pre-built website template is designed to get your site online fast just by replacing the demo text and uploading your own photos, but you'll be amazed by how much you can easily change to make it your own. Add or remove pages, customize contact forms, rearrange pages layouts and personalize the color scheme with just a few clicks. No coding skills are required thanks to our unique front-end editing tool and drag and drop widgets. Take advantage of the useful business features included with this premium WordPress theme, like integrated social media options, a built-in SEO manager and the ability to link to PDF forms or brochures that visitors can download and print. Create a professional, trustworthy online presence for your nanny services with the Babysitter WordPress theme and start attracting new clients today! 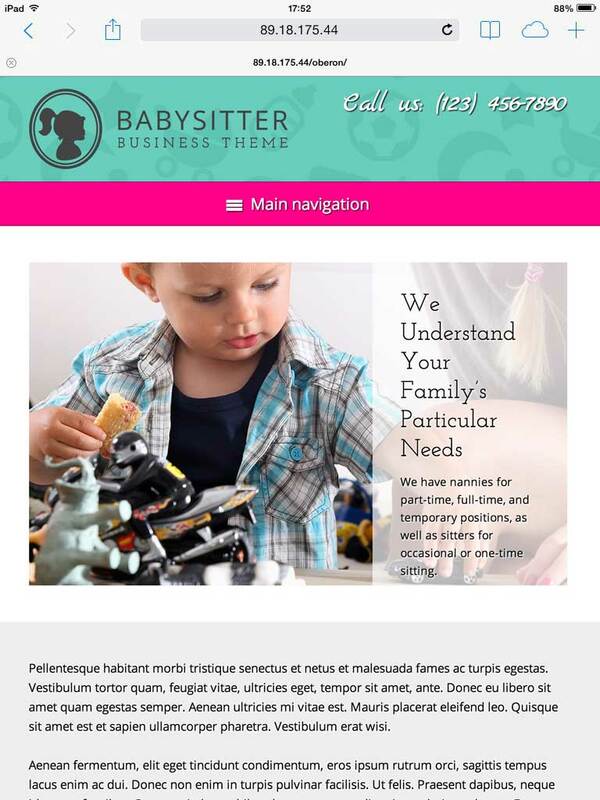 The Babysitter WordPress Theme is designed with the needs of babysitting businesses in mind. In fact, the most important business features are pre-built into the theme. Offer answers to the most frequently asked questions on the Babysitter WordPress Theme's FAQ page. It's filled with placeholder text and ready for your own content. Going online is one way to expand your business. Another one which is incorporated into the Babysitter WordPress Theme is a high quality section where people can apply online. 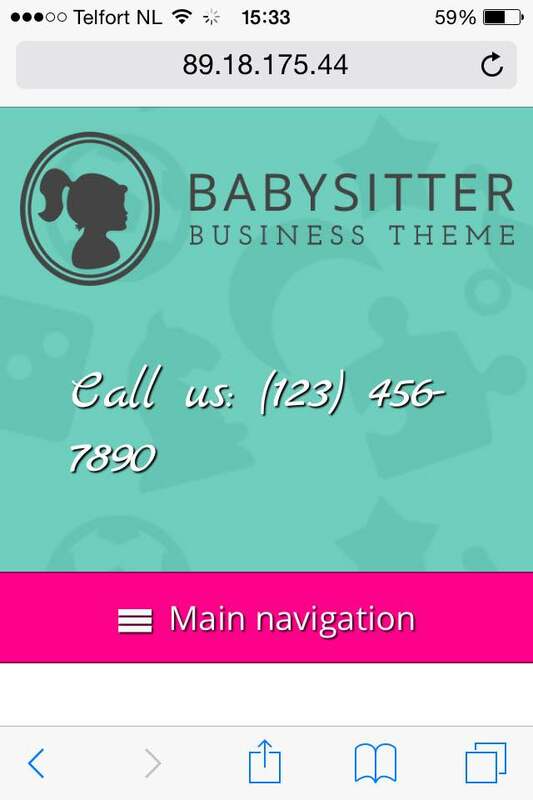 The Babysitter WordPress Theme has great-looking out-of-the-box mobile optimized tables. This way visitors can see at a glance what your rates are for the services they are interested in. The Babysitter WordPress Theme includes individual pages already set up for you to go into detail about each of the services your business has to offer to pique the interest of future clients. 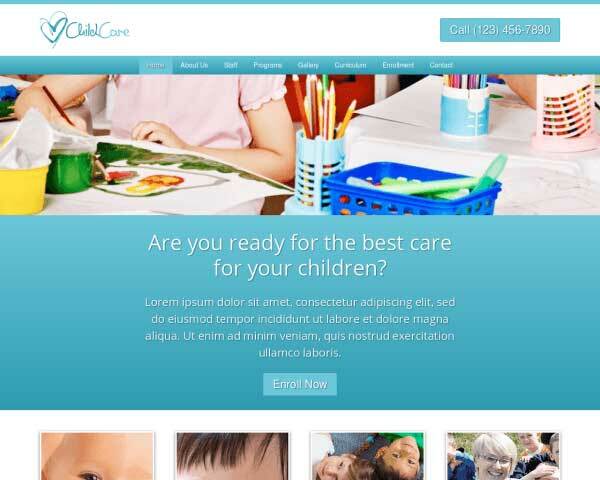 The Babysitter WordPress Theme enables you to showcase all you services in a nice overview. Neatly and cleanly laid out for your prospects with a nice rollover effect. The Babysitter WordPress Theme comes with icons for the most popular social media platforms. Visitors can connect with you online or share your content on their own pages. Trust is probably one of the most important factors for a babysitting business. Gaining trust can be achieved with the help of the team overview page. Help new customers make up their minds by sharing reviews from existing clients. Just replace the text and the Babysitter WordPress Theme will style your quotes in this format. Need one or more experts to join your passionate team? The Babysitter WordPress Theme includes a handy page that displays all positions available. 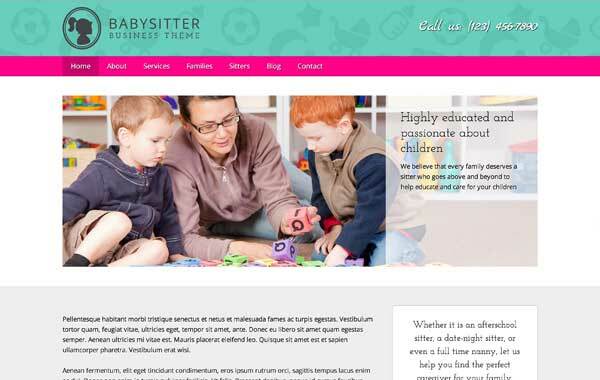 Building your website with this responsive Babysitter WordPress theme ensures that visitors who browse your pages using any type of handheld device will enjoy a great mobile experience. Our mobile-optimized design will not only adjust your content to display beautifully on any screen size, this happens automatically without any additional coding or plugins required. As you add new pages or photos to your website and as new smartphones and tables enter the market over the years, your website will continue to look great and work perfectly even on small screens.